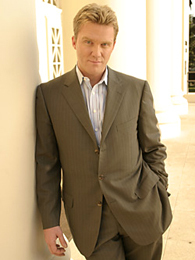 A Chat with Anthony Michael Hall, Anthony Michael Hall interview, "The Dead Zone"
Anthony Michael Hall: Hey Will. How are you? Bullz-Eye: I’m doing great. Good to talk to you. AMH: Good. Good. You, too, man. BE: Well, my first question…since I figure we’re going to cover the entire “Dead Zone” history, in exactly twelve minutes…is to ask how you got involved in the series in the first place. AMH: Well, Mr. Michael Piller, who obviously is not with us any more, he was a wonderful guy, and he was kind enough to offer me the series. I guess he had seen me play Bill Gates in this film I did with Noah Wyle about ten years ago with TNT (“Pirates of Silicon Valley”), and it was told to me that I was his pick for the role. So it led to an incredible partnership, obviously, with his son, Shawn, who is a great friend. Unfortunately, we lost Michael to cancer. But I really learned from the Pillers, as well as (executive producer) Lloyd Segan. You know, I had never really done a T.V. show before, so it was certainly a learning curve, although it’s the same kind of skill set, and when you’re making movies, it’s the same kind of application, you know. But I had a great time, and….well, that’s how it happened: Michael wanted me to play the part. BE: What made you decide to take on the challenge of a T.V. drama? AMH: Well, you know, the script was phenomenal; it really was. The pilot script was great, and Michael had a great track record. He had created “Star Trek: Deep Space Nine" and “Star Trek: Voyager" and all these successful shows over the years. It was a great opportunity, and I needed the work, and I went for it. Fortunately, we had Rob Lieberman, who directed the pilot, and it turned out great. It was just amazing. You never envision…I don’t think you can always plan for success, but you can be prepared. So it’s always nice when it sort of surprises you, you know? And it really took me by surprise. It’s amazing that we did six seasons; we did 80 episodes, I think, in the whole run. I just had the time of my life. It completely helped me sort of reinvent myself as an actor and get myself back out there. At the same time, it was a wonderful challenge. As you know, on the show, I would become other people and probably in those 80 episodes, I probably played 100 parts. Not just the character, my own. So it was fun, you know? It was a great challenge. And then, it was a learning curve for me also as a producer, because I was fortunate enough to become one of the producers on the team. You know, I grew up on sets, so it was…they gave me a wonderful opportunity – thanks to Michael and Lloyd and USA – to sort of exercise that muscle, too, and learn how to be sort of an actor and producer on a show. So I think that additional responsibility, plus knowing that I was carrying the show, made it…I certainly had all the motivation needed to step up and do the work. AMH: Oh, he’s a great guy. BE: Absolutely. And he said one of the selling points for him taking the Greg Stillson role was Llyod Segan assured him Vancouver had great restaurants. AMH: (Laughs) Oh, he’s funny. Yeah, he’s cool. BE: What did you think about working up north like that? AMH: Oh, I loved it, man. You know, I loved Vancouver, I really did. I mean, it’s a beautiful place. I love Canada, and Vancouver’s a gorgeous city. You know, you have the mountains, but it’s a really completely modern metropolis as well. I mean, I grew up in New York City myself, so I love being near a city, but it really had both. You know, mountains and the ocean and everything was right there. So I really loved working there. And we had a great crew, we really did. Everyone really worked hard on the show, and we had a great cast. No man’s an island, right? It takes a lot of people to make something happen. BE: Absolutely. How much French did you have to brush up on when you moved to Montreal? AMH: You know what? I was too busy staring at the French chicks. I don’t know that much French. Now, the food there was great. I mean, in both cities, the food was really good, but Montreal particularly was great. Montreal reminded me…it was sort of like a hybrid of New York and Paris, or what I remember of Paris when I went, you know. Really a European feel to it. But the city itself looks more like New York. It’s much more like our cities in the east, you know? It was beautiful, though. I loved it. We did one season there, the last one, and we had an all new crew, and an all French speaking crew. So to speak to your point, it was kind of funny. I would do things like after a while, once I had the respect of the crew, I would kind of goof off with them before takes. They would say things to each other in French and then they would have to do the obligatory English version. So they were really wonderful people. They all were bilingual speaking and the whole thing so it was great. I had a good time. BE: It was a nice touch to have Tom Skerritt play your father in the last episode. AMH: Oh, I thought so, too, man. We were honored. It’s interesting, too, because he played Walt in the original, so it has some significance for him as well. But he’s a wonderful actor, man. Everybody knows Tom Skerritt is on the money. And it’s great, you know, because I remember reading an article years ago about DeNiro, and he said when you work with great actors, it’s like musicians. They make each other better. I’ve loved the opportunities I’ve had in my career to work with people like that, that are such veterans and pros. And you also find that the higher up you go with people like that, who are so experienced, they just have the coolest attitudes too; they are the lightest people on set. They enjoy the process. Tom Skerritt said a beautiful thing to me once. I said, “So, Tom, what were some of your favorite directors or some movies that you liked working on?” He goes, “You know what, Mike? After awhile, all the shows bleed together. It’s the people and the places that you remember.” And I thought that was really a nice way of saying it. And it’s true. You know, that’s what you come away with. I mean, you’re sitting there, looking at each other for fourteen hours a day, so you better enjoy your work. BE: Did you feel that the wrap up of the series was done as well as it could have been? AMH: I think so, in lieu of the fact that we had limited options in terms of…like, every year we didn’t know if we were coming back, so we had to provide answers that were sort of open ended for the audience. And at the same time, with one foot in the door of hope thinking that we’ll come back, so we satisfy this or that and we can reposition ourselves or the story arcs for next year. That was challenging. That was interesting, too, as an actor and producer of the show, to see the changes in development over the six seasons with the writing staff and the different show runners we had; guys that were head writers, you know. It was really interesting, too, because it was a task, you know. One of the things that Michael Piller said to everybody was that…well, actually, he said this to me. He felt that Johnny’s psychic ability, based on the Stephen King novel, was the equivalent of what the Enterprise was to “Star Trek.” It was a way to give us an outlet to get into all of these story lines. I’m just so proud of the show. We had an amazing special effects team in Stargate, Jaison Stritch. I mean, an incredible crew in Vancouver and Montreal. It’s a lot of work to make a show happen. Also, we had a very cinematic-looking one-hour show. A show like that would cost twice what it would here in L.A, and we had not as much money, even shooting the series in Canada. But that was also again a challenge, because we were shooting on location. Every seven days we did a 60 page script, so it was really very challenging. BE: Thinking about the writing…the series took some interesting turns over the course of its run. Is there any particular ones that surprised you a lot? AMH: Oh, God, I have to jog my memory. Yeah, there were always some surprises. I can’t think of any offhand that really got me, but, I mean, in the end, it comes down to different actors, just like in life. I just had great experiences working with Shawn. I loved David Ogden Stiers. I mean, there were so many episodes that we did, it’s hard to recall them all. I think the challenge…my overall mindset was to just really, quite simply, make each one better than the last. I just tried to adapt to the needs of each script. Some weeks you feel it’s sort of a comic book, and other weeks we had episodes that felt completely cinematic, like I was making a film. So I always just applied that mindset, which is that I’m making a movie every week, you know? That’s really where my head was at. In lieu of the budget we were afforded by USA, my mindset was to say, “Let’s treat each episode like a 50 million dollar film.” That’s how everyone should go to work, to work with that integrity. And everyone did. BE: I know you said the fate of the series was iffy a couple of times, but when the word finally came down that it had been canceled, what were your thoughts? I mean, were you just glad that you got as much in as you did? AMH: You know, a good friend of mine, Jackie Lyons, she’s a wonderful lady who’s an executive at USA…wait, or is she at Lionsgate? I’m trying to remember. Actually, I saw her last night. I went to this Warren Beatty AFI tribute. She called me to apologize for something that I hadn’t even heard about. There was some snarky comment in the trades that was, like, “USA Kills ‘Dead Zone,’ Subtracts ‘4400.’” And, look, it’s a business, man. You know how it is; everything is so competitive, especially compared to when we grew up. There are so many networks and everyone has a home theater now. There’s so much more opportunity, and at the same time it’s more competitive than ever. So I think we were really fortunate to have a partner in USA that believed in us, and at the same time, it wasn’t the sort of big level network pressure like I would equate to box office pressure, where it’s, like, if the show doesn’t get 20 million viewers in the first weekend it’s going to never happen. So to have six years is amazing. I mean, how many people have a show for one year? I feel really blessed, you know, I really do. BE: I have a few questions about some random roles you played. BE: Did you ever hear anything back from Mutt Lange after you played him in “Hysteria”? AMH: No, but I need Shania’s phone number now that he’s not involved with her. (Laughs) Actually, he’s sort of reclusive, I’ve heard. All I had when I got to…I actually shot that in Montreal, too. This is going back however long ago it was, five or six years ago. I had just finished this movie, “All About the Benjamins,” with Ice Cube, I took part in that, and I went to Montreal. It was so funny, because the wardrobe and makeup people, all they had to go on was this one single photo. It looked like that old cover of Frampton Comes Alive! Like, he came from the ‘80s with long curly locks. A lost member of a metal band. So there was literally, like, nothing to draw from, Will. We also found out that he went out of his way to literally have himself edited out of videos where he appeared, in Def Leppard videos or whatever. So he’s a very interesting guy in terms of not wanting his image out there, but I didn’t have anything to draw from, I just knew that his wife was hot. BE: Well, that’s good inspiration, anyway. AMH: (Laughs) Oh, my God. BE: So what is Kenny Rogers really like? AMH: You know what? He’s a gentleman. I can say that he was like a dad to all of us. He had this huge ranch down there, and we made this film, and he threw the wrap party there. In that era, if you recall…I don’t know how old you are, Will, but in that era, he was Garth Brooks. BE: I’m getting ready to hit 38. AMH: Yeah, okay, we’re around the same age, so you know the deal. When we were little kids, he was Garth, man, he was like a superstar. He really is a great guy. It’s interesting, because he goes as far back almost as far as Willie Nelson, so Kenny has had a long, great career. Real lovely man. I remember as a kid, the impression he made on all of us was really wonderful. He was very paternal and very nice, you know? And, as I say, he threw the wrap party there. That was also with Diane Lane. Diane Lane was in the film, and I remember flipping out because, as a kid, I had seen “A Little Romance,” and she was so beautiful; very nice lady. So yeah, it was like the first feature I did, 1980. Man, 28 years ago. Damn, I’m old. BE: How do you think your directorial debut, “Hail Caesar,” worked as a movie? AMH: That film…you know what’s so funny? That’s the film that moved me to L.A. I came out here fifteen years ago, or whenever it was, to keep it going as an actor, and I did that film. It was so funny, I was with (Robert) Downey last night, and the first thing out of my mouth when I saw him was, “Iron this.” We go back a long time. But he was kind enough to show up for me, and so was Sam Jackson. And, you know, for a 25 year old kid…I mean, the script wasn’t much, so I tried to do my best. We had to shoot that movie in, like, eighteen days. I think I was really thrilled about the idea of doing it, so it was a great challenge. It was a fun, small cable film to work on, and I was very proud of the fact that I got to direct Downey and Sam Jackson. So, yeah, it was great. 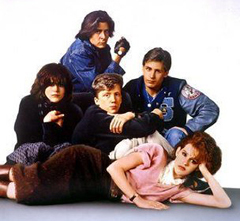 BE: And, lastly, here’s the obligatory John Hughes question: was there ever really any serious talk about doing a “Breakfast Club” sequel? AMH: No, there wasn’t. Wait, actually, you know what…? I had a conversation…and this was years ago, I mean, this is like in the late ‘80s…but it was really strange because John, he was going to be at home, and I think he had just finished “Planes, Trains & Automobiles,” and he had loved John Candy, and I had worked with John Candy on “Vacation” as a kid. So John Hughes got John Candy on a three way call with me, and we were discussing it. It was actually an idea, and John did bring it to my attention…but this was so long ago. It was something that I think he was trying to kindle and get going, but it didn’t really ever happen. BE: Well, it’s been a pleasure talking to you. Obviously, I’ve been a fan of your work for quite a while, but I really did feel that, with the “Dead Zone,” you were finally able to step out of the niche that people kept trying to put you in. AMH: Oh, thanks, I appreciate it. I’ve always been slipping away from that anyway, I think, but I really appreciate that. Thanks you for your time and what you said. BE: No problem. Good talking to you. AMH: Okay, Will. You, too, buddy. I’ll see you again.